My cat is constantly scratching, could she have fleas? Yes, your cat could have fleas, however it would be best to make an appointment with your vet/vet nurse to check her over in case it is another skin complaint. 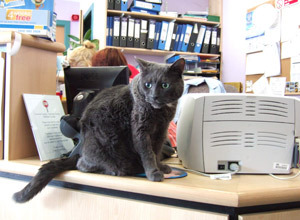 If she has got fleas, then your vet will be able to advise you on what treatment would be most suitable for your cat. It is also recommended that you treat your house as well. Some animals are highly allergic to flea saliva and can cause themselves horrific injury with constant scratching/biting so it is important to use year round flea prevention in these cases. You should also worm your cat if it has fleas as tapeworms are associated with fleas. How soon can I get my male kitten neutered? 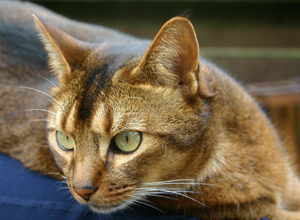 Most male and female cats can be neutered at 6 months of age. Taking your cat to the vet for a checkup first is highly recommended to ensure he is in good shape for an anaesthetic and also that both his testicles have descended. How can I prevent my cat from killing things? Attaching a warning bell to your cat's collar can help alert other animals to your cats presence, also keeping your cat in from dusk until dawn will stop night hunters. How can I help my cat get rid of fur balls? Your vet will be able to provide you with an easily given laxative that will help move fur balls down the digestive system. There are also several specialist diets available for fur ball control.